Dr Sripad H. Ghaligi, PhD in Yoga Psychology (Bhagavad-Gita and Yoga Sutra) from Mysore University. Dr Sripad holds a master’s degree in Sanskrit and M. Sc. in Yoga from S-VYASA University, Bangalore. He has learned Veda, Vedanta and Yoga in traditional Gurukula system from Veda Vijnana Gurukulam, Bangalore and has conducted several training camps and workshops for students and teachers in these topics. 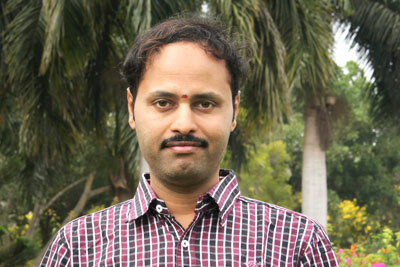 He has been a resource person to various cultural organizations and the Karnataka Govt. also took his assistance for the Department of State Education Research and Training(DSERT) to design the syllabus for Yoga classes. His research paper on the topic titled ‘Effect of Vedic Chanting on Memory and Sustained Attention’ was published in Indian Journal of Traditional Knowledge.